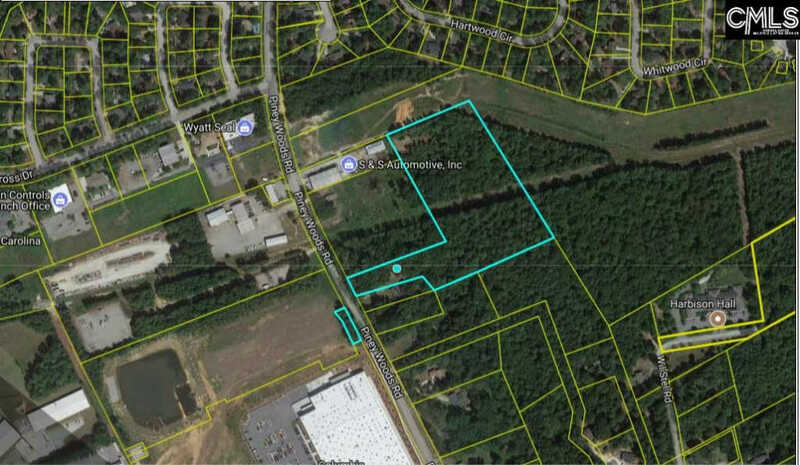 Great commercial potential 7.38 +/- acres located off I-26 Piney Grove Road Exit. Across street from Costco on Piney Woods Road. Costco has additional out-parcels for sale directly opposite this site. There is a home and mobile home on site, however transferred at no value. Annual average daily traffic counts are; Piney Grove Road - 4,800 ; I-26 - 110,000 ; Piney Woods Road - 3600. Property has been lumbered. Very convenient to I-26, 176 Broad River Road and 1 mile from Harbison Shopping Mall.